Just as the US has the Powerball, Spain has the “Primitiva” and the “El Gordo”, Canada has the “Lotto 6/49”, Ireland has the Irish lottery. The Irish lottery is the Irish National Lottery’s flagship drawing game and it was started in March 1988. The Irish Lotto originally started as a 6/36 game where six balls were drawn during each draw from a pool of 36 balls. Originally, the game followed a 6/36 matrix where six balls were drawn. By matching all the six numbers drawn, a player could win a share of the jackpot which was at the time £250,000. Also, there were prizes for players who could match four or five numbers. As with other lotteries, if there is no winning ticket, the jackpot amount is rolled over to the next draw. Until 1990, draws held only one a week on Saturdays but on May 30, 1990, the National Lottery introduced a second mid-week draw which held on Wednesday and since then, draws hold twice a week. At an original price of £0.50, all possible combinations of the Irish lottery under the 6/36 matrix system could be bought at a price of £973,896. 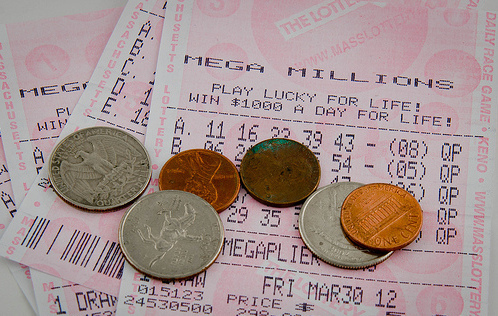 The odds of winning the jackpot at the time stood at 1 in 1,947,792. So, it was possible for someone or a group of people to buy all possible combinations of the lottery thus winning all the prizes including the jackpot amount. This made the lottery vulnerable to brute force, which eventually happened during the May 1992 bank holiday drawing when the jackpot amount reached £1.7 million. Stefan Klincewizcz, a Polish-Irish business organized and headed a 28-member syndicate which had spent the past six months preparing for a brute force attack by marking possible combinations on about a quarter of a million play slips. A few days before the drawing, the syndicate made an effort to buy up all possible combinations in an effort to win all the prizes including the jackpot. The National Lottery in an effort to foil the plan of Klincewicz and his syndicate limited the number of tickets sold by a single machine and also turned off the terminals where the syndicate members purchased their tickets. That notwithstanding, the Klincewicz’s syndicate had already bought over 80% of the lottery’s combinations for an estimated £820,000 which gave them the winning numbers of the draw that night. Unfortunately, two other winning tickets were sold so they had a claim to only one-third of the total jackpot – £568,682 even though they ended up with total winnings of approximately £1,166,000 as they also won prizes for matching 5 and 4 of the winning numbers. Ever since then, the National lottery took steps to make sure that another brute force attack doesn’t happen again which caused them to finally change the game to a 6/47+1 matrix which increased the odds to 1 in 11,000,000 and also increased the jackpot and second prizes. As has been mentioned above, the Irish Lotto follows a 6/47+1 matrix. Players are expected to select six numbers from a drum of 47 balls numbered from 1 to 47. Again, the player has to choose an additional ball which is known as the “bonus ball”. Players can either choose their balls themselves or choose the Quick Pick which allows the system to randomly generate and select numbers for the player. The Quick Pick option allows the system to pick the six main numbers while the Quick Pick +1 allows the system to select all numbers plus the bonus number. Players can also play as a syndicate. As seen above, a syndicate is an option that allows several players to play as a group. With this system of play, the overall odds of the syndicate winning are greatly improved and any prizes are shared amongst the members of the syndicate. The overall cost of tickets is also shared by all the members of the syndicate. Each minimum play in the Irish Lotto is made up of 2 lines of six numbers each. So, at the current cost of €2 per line, an Irish lotto ticket costs €4 minimum but can increase depending on the number of plays the player chooses and other options. There are also two complimentary lotteries – Lotto Plus 1 and Lotto Plus 2 which can be played for an additional 50c. These two games also offer a chance to win two additional jackpots in addition to the Irish jackpot. To enter the Lotto Plus 1 and 2 draws, simply tick the Irish Lotto + box which is located directly under the main game slip. The same numbers selected for the Irish Lotto will be automatically entered for the Irish Plus 1 and Irish Plus 2 draws. The Irish lotto has its draws held twice weekly on Wednesdays and Saturdays. During each draw, six numbers are first drawn from a drum consisting of 47 balls numbered from 1 to 47 and then another ball is selected – the bonus ball. When a player’s selected balls match all balls drawn including the bonus ball, that player wins the jackpot. The jackpot is a guaranteed €2 million amount which increases depending on how many times it is rolled over. The second prize is won when a player successfully matches 5 main numbers plus the bonus ball. The odds of winning the first prize is 1 in 10,737,573 while the odds of winning the second prize stand at 1 in 1,789,596. There are other prizes which are won when a player matches 5, 4, 3 or 2 balls without the bonus ball and 4, 3 or 2 balls plus the bonus ball. The Irish Lotto is one of the jackpots in the world with very reasonable odds of winning which stand at 1 in 29. The largest Irish Lotto jackpot ever was won on the 28th of June, 2008 by a 16-man syndicate which consisted of 16 colleagues who worked in Bennekerry, Carlow at a quarry and concrete plant. The amount won was €18.9 million. Want to buy tickets from home? Learn more about Irish Lotto online here.